Today businesses and organisations are faced with many challenges. Gaining new customers, retaining existing ones, controlling costs and perusing competitive advantage combined with accelerated growth and pace of technological developments. In small, medium and even larger enterprises the prospect of implementing and integrating technology for commercial advantage can be daunting. If the implementation of CTI is wrong it could be an expensive mistake with more than just a financial cost. If it’s right it can transform business growing sales maintaining and sustaining competitive advantage. By utilising Office SolutionsTM fully integrated flexible and modular computer telephony integration it is possible to achieve the right solution for your business whatever its size or requirements. Deliver the best customer experience possible – offer a more personalised service by knowing who the caller is before answering the call. By speeding up repetitive process improves efficiency – having customer details to hand significantly reduces call handling times. Automate and get the more out of existing technology – By opening your database or application on the correct screen, your agents and users are ready right away without losing valuable seconds finding the correct area, product, tab or screen or to use. Reduce user/agent training time and costs – because your systems are automated and integrated users spend less time learning and using different applications. Screen popping – Callers information is displayed (caller’s telephone number CLI or ANI and number dialled DNIS allows Screen Pop on ringing or answer) generally this is used to search business applications for the caller details. Dialling – Ability to dial directly from applications and automated dialling (campaign, preview and progressive dialling). 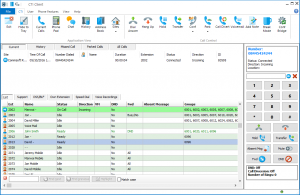 Application dialling – dial directly from any application that can connect to a TAPI 1st Party TSP (TAPI Service Provider) – MS Outlook, ACT, Maximizer etc. 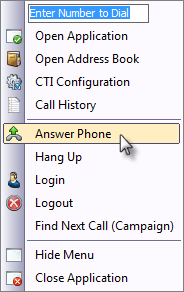 Application dialling – dial directly from MS Windows Dialer or any application that uses Windows Dialer to make calls. From MS Internet Explorer – dial by using plugin then highlighting any number in browser then right click dial number option. From MS Outlook – dial using Office Add-in toolbar. From Web Applications –dial via http from web application running in any browser. Hotkey dialling – dial any number that can be highlighted using a configurable hotkey keyboard combination. 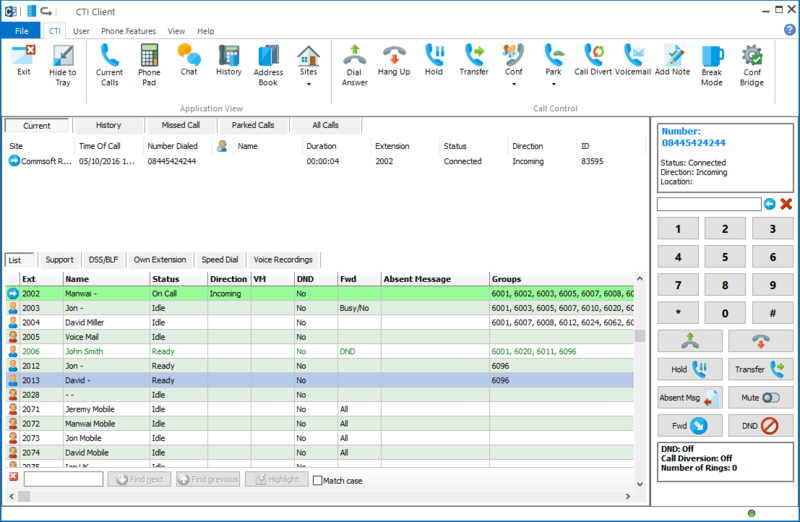 Call & Phone control – Control calls from PC such as answer, hang up, hold, transfer, conference, and feature control such as call forwarding, divert, DND etc. 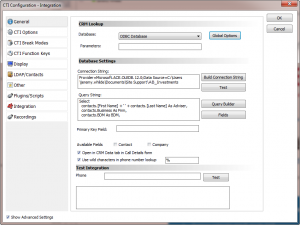 Screen Transfer – Call and data transfer between two users/agents (i.e. pass on the Screen pop and qualified data with the call.). Integrated Voice Recording – Embed links to audio voice recordings into CRM applications providing direct playback of conversations. 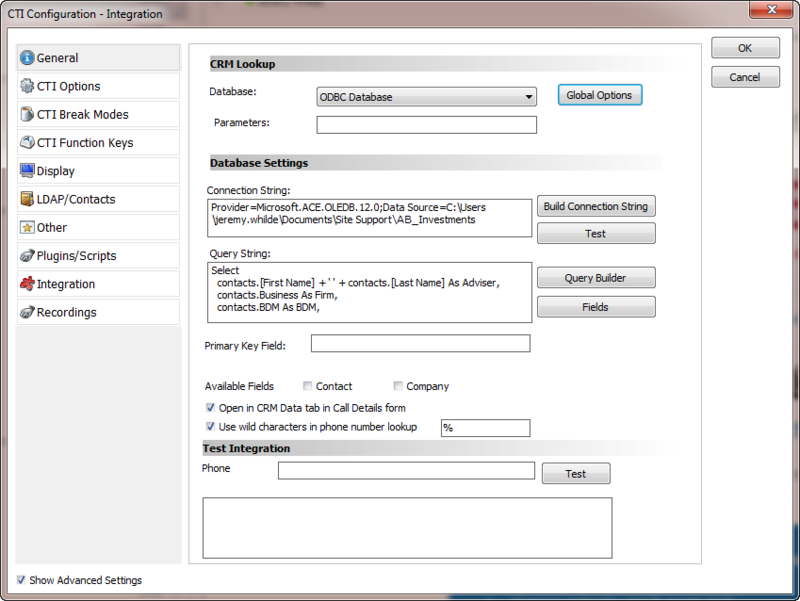 Call Centre Functions – Allows both agents and supervisors to control log in/out to match call loads and control other states such as agent (Ready, Busy, Not ready, Break, etc. ).